Rwanda will this month issue a 10-year treasury bond worth Rwf 10 billion to finance infrastructure and Capital Market, according to a tender notice by the Central Bank (BNR). The Government will officially open doors for bidders on May 21st and close on May 23rd at 4.00PM while the T Bond settlement is fixed on May 23rd, 2018 and the redemption for May 12th, 2028. 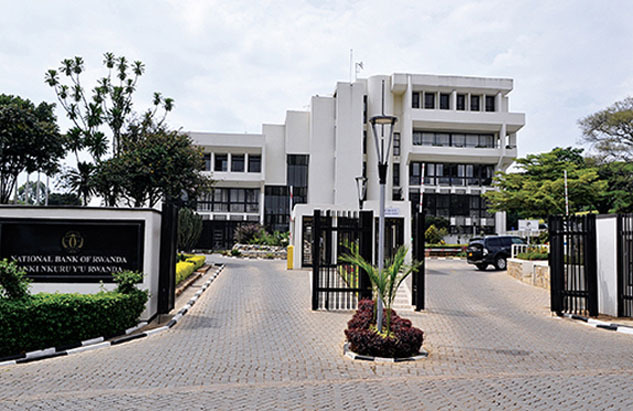 “The price will be quoted by competitive bidders using the yield to three decimal places,” reads the bid notice issued on May 4th, revealing that the bonds will be listed on Rwanda Stock Exchange (RSE). Bidders will buy the bonds via BNR through a book building method whereby the minimum for competitive bidders is fixed at Rwf 50 million and Rwf 100,000 for non-competitive bidders. The Central Bank also revealed that to qualify for the bonds you must be a Rwandan resident or a non resident with a Central Security Depository (CSD) account opened through licensed commercial banks or capital market intermediaries. “BNR will rediscount the bonds as a last resort at 3% below the prevailing market yield or coupon rate whichever is higher, upon written confirmation that there is no buyer from the RSE,” the bid notice also reveals. While results will be emailed to successful bidders on May 23rd, 2018 at 5.00pm, BNR says that the secondary trading in multiples of Rwf 100,000 will commence on Tuesday 29 May 2018 on Rwanda Stock Exchange (RSE). A T-bond selling is a normal Rwanda Government exercise since 2008 in a bid to mainly finance big infrastructure projects. The last bid was in February where the Government sold a five-year Treasury bond worth Rwf15 billion. In November last year, the government also rolled out a 7-year treasury bond worth Rwf10 billion, but this was oversubscribed by 178.14% percent in which retailers got a lesser share compared to the February 2018 bond. RSE statistics currently show that the Market capitalization stands at $3.3 billion or 40 percent of Rwanda’s Gross domestic Product (GDP) with over Rwf500 billion exchanged hands. At least 17000 investors have been solicited in the period since the establishment of RSE ten years ago, according to statistics.